The NFPA 484 standard applies to the production, processing, finishing, handling, recycling, storage, and use of all metals and alloys that are in a form that is capable of combustion or explosion, as well as, operations where metal or metal alloys are subjected to processing or finishing operations that produce combustible powder or dust. What must my wet dust collector do to be NFPA 484 complaint? Provide an audible and visual alarm on equipment shutdown. 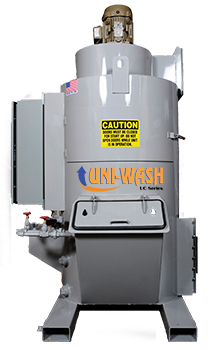 Uni-Wash wet dust collectors are fully complaint with the NFPA 484 standard when purchased with the Uni-Wash PRO package. Click here to find out more about Uni-Wash wet dust collectors.